Earn up to 5,040 reward points. 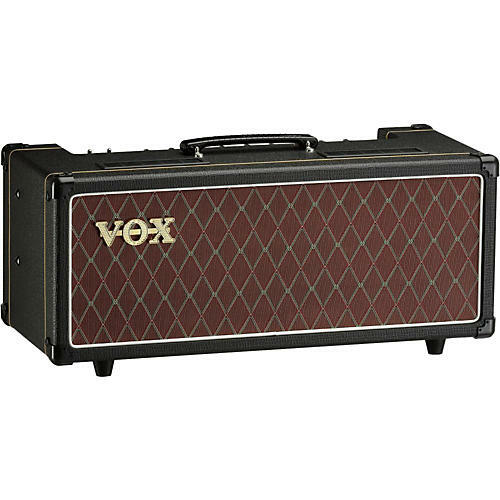 Classic Vox tube tone in a low-wattage head that's perfect for studio use. The Vox 15W AC15CH 15W tube head utilizes 12AX7 tubes in the preamp and EL84 tubes in the power amp. The Normal and Top Boost channels each have a dedicated volume control, and the Top Boost channel also provides Treble and Bass tone controls. In the Master section, there's the distinctive VOX Tone Cut and Master Volume that allow you to obtain a variety of sounds ranging from the extraordinarily sparkling VOX clean tone to a powerful, raw overdrive. The AC15CH also features the familiar VOX Tremolo and Spring Reverb from the Custom Series. Dimensions: 24.01 in. x 10.47 in. x 11.18 in.